Custom coloring books are fun for kids to color as they are made from family photos and, hence, contain familiar people, toys and places. 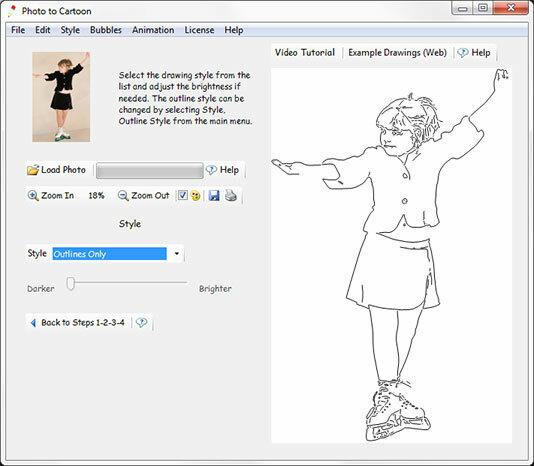 There are two ways to make coloring pages with Photo to Cartoon. The first one results in coloring pages that are easy to color because all single color areas are separated from one another. 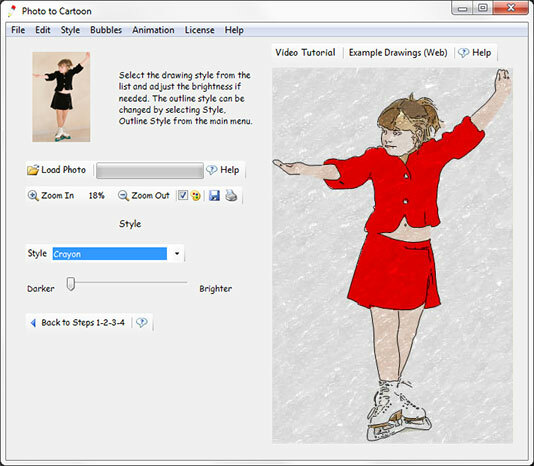 To make a coloring page using the first approach load a photo, make Step 1, Step 2 and Step 3 changes if necessary; click on the Style button located in the Step 4 bar and select "Coloring Book" style as a coloring style. The coloring page is ready to be printed out (the print button is located on the right from the Save button). When using the Color Book style it is often useful to reduce the level of detail with the Fewer - More Colors slider (Step 2). The second approach creates coloring pages where only some boundaries between color areas are shown and, therefore, coloring such pages allows for more creativity. To make a coloring page with this second approach, simply uncheck the Color box to remove colors or set the Outlines Only style on Step 4 and the coloring page is ready for printing. To print out a colored coloring page (to use as a coloring guide) check the Color box and set the style to Crayon or Solid.